Paul LePaul was gifted with the rare combination of superb technique and master showmanship. 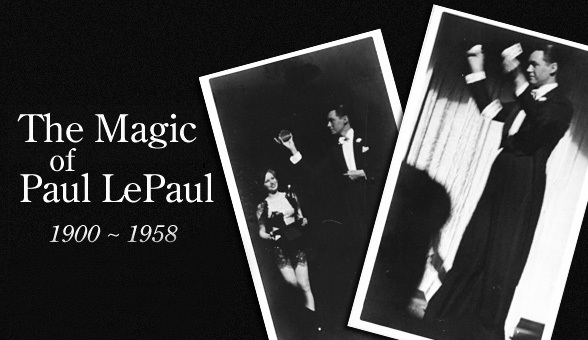 Although he is widely known today as the author of the classic work The Card Magic of Paul LePaul, a work that showcased many of his innovations in advanced sleight-of-hand, LePaul was no stranger to the stage. He performed countless times on the vaudeville circuit and when that ended, he moved on to the hotel and nightclub scene. View Exhibition // View LePaul’s notebook.